Well, the inevitable has happened. It's been in the 80's and muggy all week long. And, of course, that means it's time to start complaining about the weather. But the arrival of heat also means to arrival of fresh local fruit and berries. When I saw a bin stacked full of beautiful little orange-colored orbs at the market the other day, I immediately scooped some up with pie in mind! After we ate a "few" out of hand (because who could resist), I didn't quite enough left to make an entire pie filling, so I used the remains of a carton of strawberries I spied in the fridge to make enough to fill the crust. Barely, but it worked. If you've never had a fresh apricot, don't let their diminutive size fool you, they pack quite a punch in the flavor department. They're sweet, yes—but they're bold and have a punchy tart quality that vies for top billing in the flavor department. Something to note in this recipe is that it calls for finely ground minute tapioca. A trick I learned and adopted from the Magpie cookbook, pouring minute tapioca (found in the baking aisle of the grocery store, usually near the pudding and jello or baking supplies) into a spice grinder and whizzing it until it is a powder eliminates tapioca bits in the pie filling. Now, those little tapioca bits don't bother me a bit, but the presentation is much nicer without them. So don't delay! 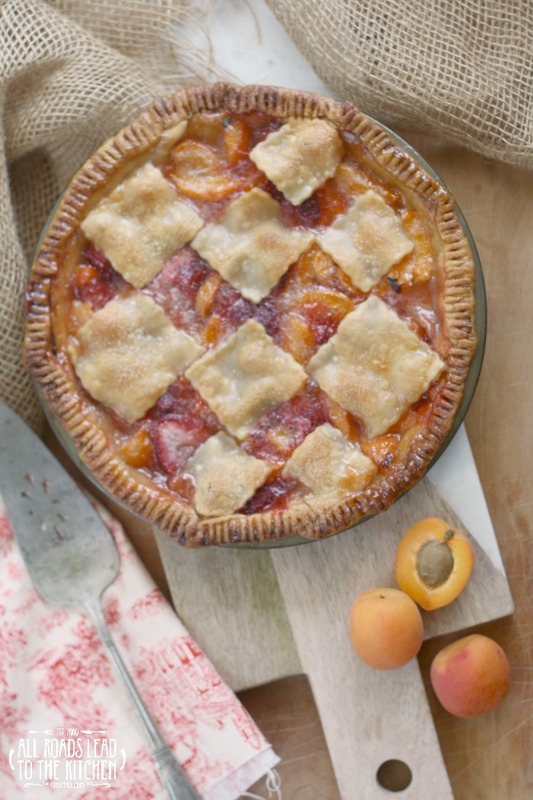 Put a little blush on your apricots next time you bring some home from the market or the orchard...in the form of pie. 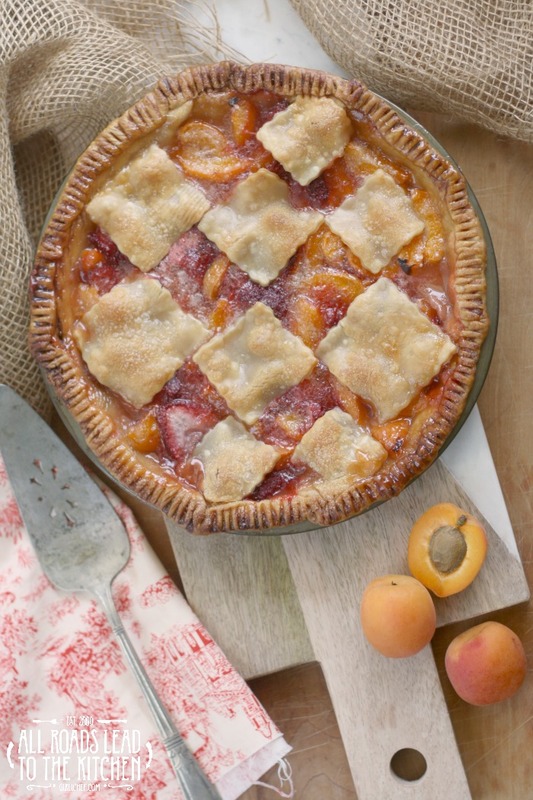 Bold apricots with just a blush of sweet summer strawberries lend this fruit pie its sweet and slightly tart filling. Roll have of the pastry out and fit into a 9-inch pie plate. Refrigerate for at least 30 minutes. Preheat oven to 400° F. Line a baking sheet or the bottom of the oven with foil to catch any drips during baking. Place the apricots, 1/3 cup of the sugar, lemon juice, and vanilla in a large bowl and toss gently to combine. Let sit for 15 minutes. Combine the remaining sugar with the ground tapioca, cornstarch, and salt in a small bowl. Add to the apricot mixture along with the strawberries and stir gently. 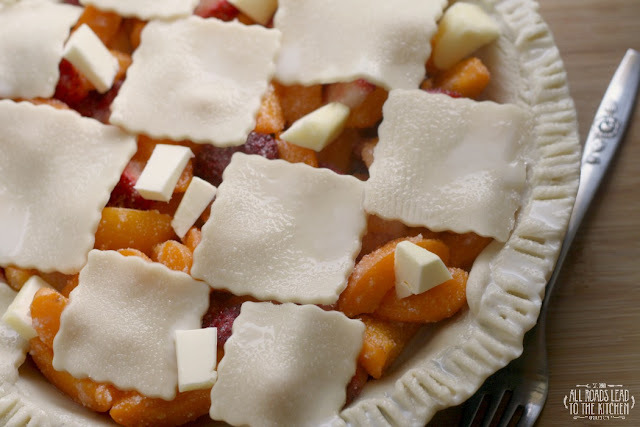 Pour the fruit into the chilled crust, scraping all the excess sugary juices from the bowl. Roll out the second crust and place on top of the pie, making designs or lattice, if you wish (cut a few slashes into the top of the crust to vent if left whole). Brush a thin layer of milk over the exposed crust and sprinkle with a dusting of sugar. Dot the exposed fruit with the cut up pieces of butter. Set on lined baking sheet or directly onto rack and bake for 30 minutes. 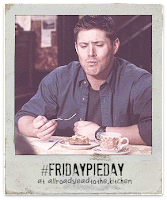 When this 30 minutes is up, turn the pie plate so that the side facing the back of the oven is now facing the front. Close the oven and reduce heat to 350° F; bake for 30 minutes longer. If the crust is getting too dark, cover it with a pie crust shield or some foil. 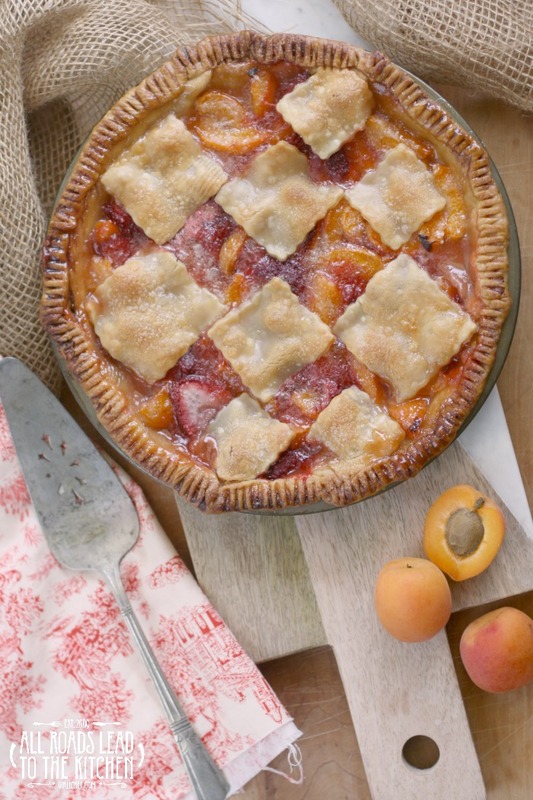 Set pie on a wire rack to cool completely before slicing. 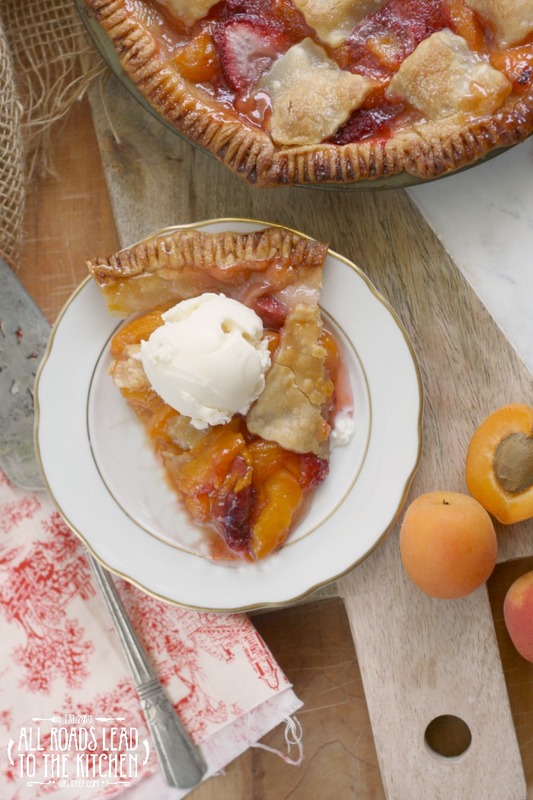 Serve at room temperature or warmed in the microwave (good with a scoop of vanilla ice cream). My friend Stacy from Food Lust People Love is joining me for #FridayPieDay this month (as always) with this delicious Pear and Preserves Tart - I hope you'll check it out!